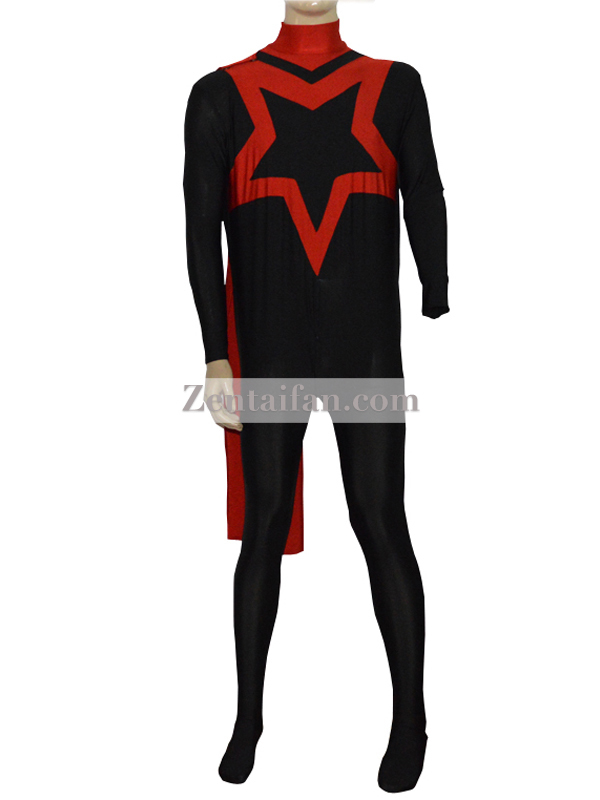 This Star Superhero Costume is made of spandex fabric, which made as the design from the customer. The gloves, belt and cape are detachable. The cape is only on the right side. Hand wash only.